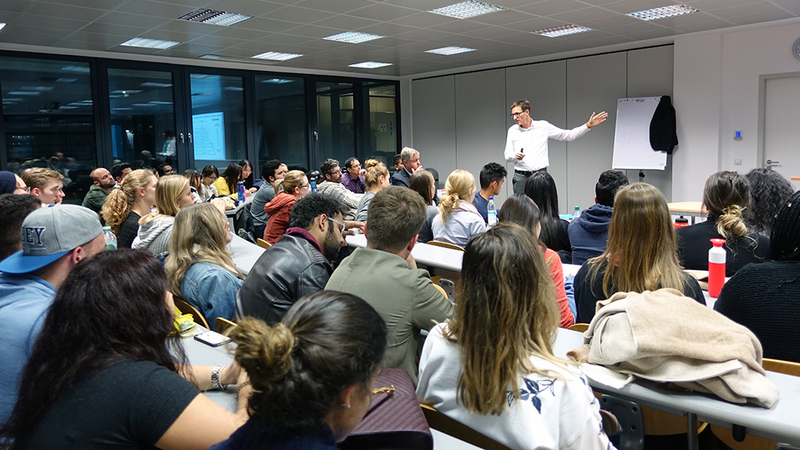 On Monday, October 22, Heiner Faust, VP Quality Management Customer at BMW Group, visited the Connected Vehicle Lab of Munich Business School. How can companies cope with the impending change? What challenges are posed, in particular, to executives who are shaping this change? 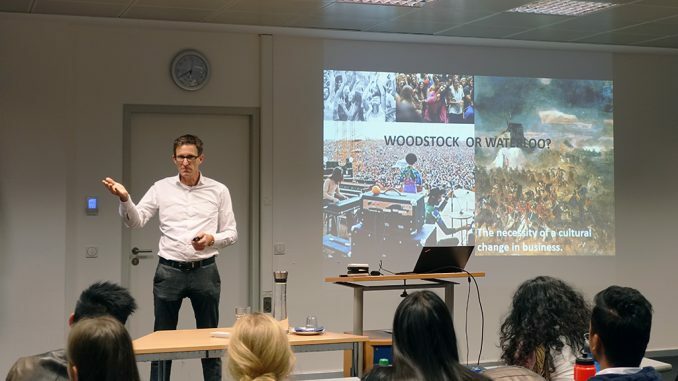 And what is the difference between success (as exemplified by the term Woodstock from the point of view of a then young, freedom-loving generation) and failure (as represented by the term Waterloo from Napoleon’s perspective)? Heiner Faust, who in his professional life has successfully mastered a large number of challenges while manning various management positions in Germany and abroad, quoted a wide range of examples: from the beginning of the automobile to today’s transformation drivers of the industry (from interconnectivity, electrification, and mobility as a service to autonomous driving and competitors such as Tesla and Google, who are trying to shape the market alongside the established automobile manufacturers). In addition, he emphasized that the ability to cope with change has always been one of the particularly relevant duties of managers. This has been the case since the emergence of the automobile. A comparison of two pictures clearly illustrates this: while at the Easter Parade in New York in 1900, there was only one automobile among all the horse-drawn carriages, the picture had changed completely 13 years later. Only one horse-drawn carriage can still be found in the picture next to all the automobiles. Figure: Change as an object of corporate governance – the New York Easter Parades of 1900 and 1913. The demands placed on the working environment by managers and employees are subject to far-reaching change, as well: at the beginning of the industrial revolution, the main focus was on satisfying basic physical needs (e.g., hunger, thirst, etc.). Today, almost all needs – shown here on Maslow’s hierarchy of needs – are of importance when it comes to shaping the professional commitment of managers and employees. 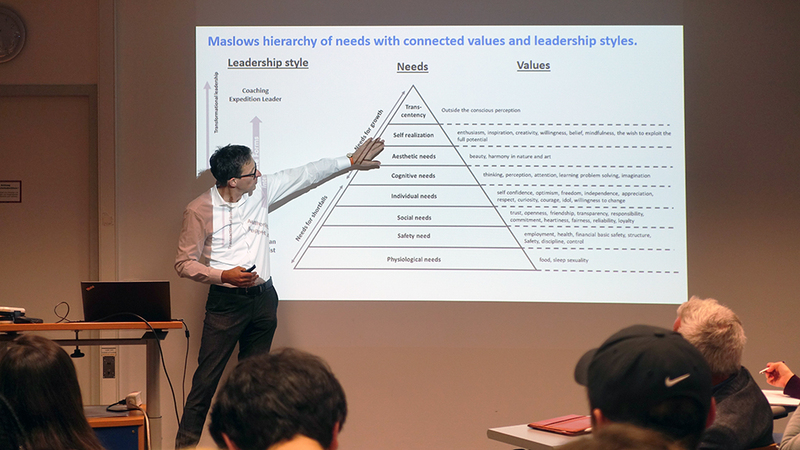 Heiner Faust made it equally clear by means of numerous studies and practical examples that it is worthwhile to shape leadership holistically: the attitude of managers and their leadership style is – just like the motivation of employees – of essential importance for the success of companies. What skills do current and future managers need to develop in order to successfully shape transformation? As a graduate, how can I recognize which company is successfully shaping change? As an employee, how can I contribute to the change process in a goal-oriented way when I join a globally active company? Which success factors are relevant for the path on the career ladder? Are there important cultural differences between incumbents and start-ups, between European, American, and Asian companies? 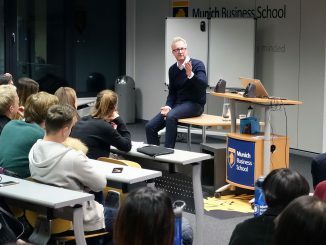 Munich Business School has been focusing intensively on the topic of transformation for some time now: both in the Master International Business and in the Bachelor International Business study programs, MBS offers the specializations “Digital Business” and “International Innovation and Digital Business”. 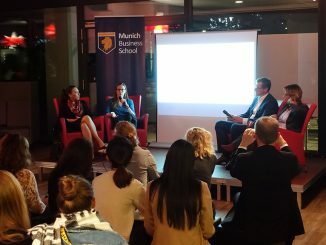 In 2015, Munich Business School launched the MBS Connected Vehicle Lab, a platform for science, research, industry, and services. The lab serves the faculty, students, and experts from the industry to exchange information on the latest forms of learning and communication in the subject areas of mobility of the future. At the end of last year, an editorial team led by MBS professors and lecturers published the reference book “Digital vernetzt: Transformation der Wertschöpfung”,with contributions by over forty authors from science and practice, which focuses on the topic of digital transformation.